Koks-Kübelwagen der Deutschen Bundesbahn mit Bremserbühne. Formneuheit. Die Kübel können beladen, abgenommen und zum Entladen aufgeklappt werden. Idealer Ganzzugwagen. 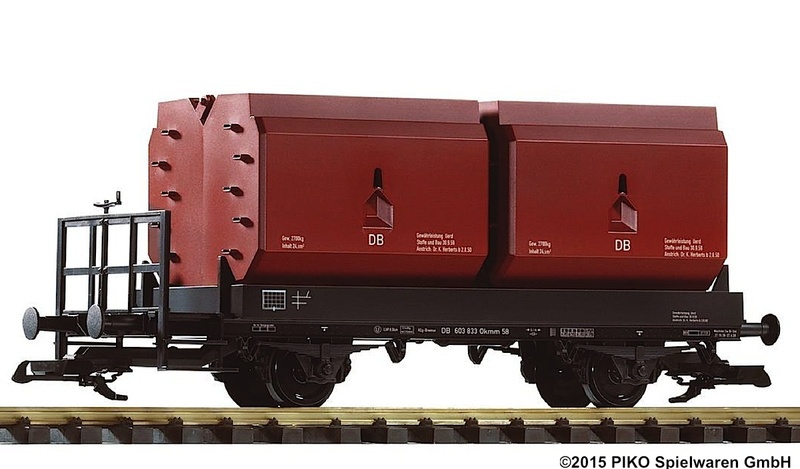 Coal container car of the German Federal Railroad with brakeman's platform. New molds. The coal containers can be loaded, removed and opened for unloading. Ideally suited for a complete consist of those cars. Car is shipped without any load.